If you haven’t seen an “American Me Comedy Show” then you’re definitely missing out! A very funny line-up of comics will be performing who have been on Comedy Central, HBO, Showtime, The Late Show With David Letterman, The Tonight Show, Conan, The Late, Late, Show With Craig Ferguson, Saturday Night Live, America’s Got Talent, and regulars on Chelsea Lately so make sure to catch this show because you never know who might pop in! American Me Comedy will be an evening of the best stand up comedy featuring today’s hottest working comics from all walks of life – race, color, religion, sexual orientation – sharing their unique and hilarious perspectives on life experiences. 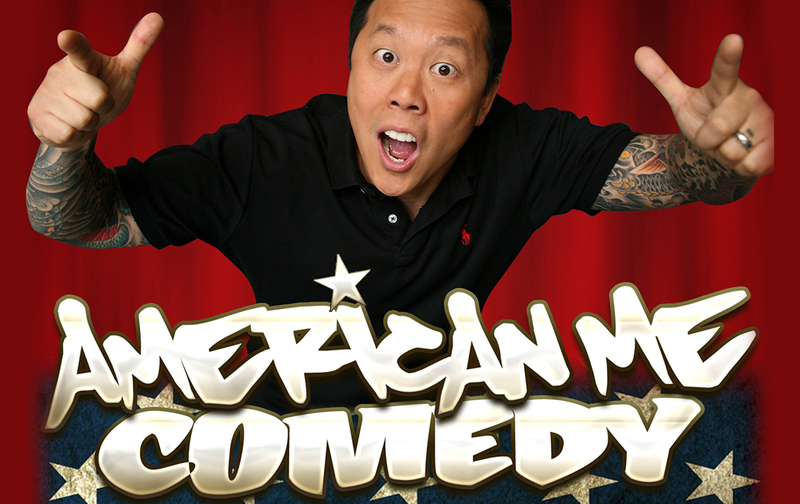 Due to its consistent sold out shows and ever growing popularity, American Me Comedy can be seen monthly at the Hollywood and San Jose Improvs and regularly at the Ontario and Addison (Texas) Improvs, Punch Line and Cobb’s Comedy Clubs in San Francisco, CA, and Levity Live and Gotham, NYC!